As cities across the UK begin to tackle their toxic air, Bristol confirms extended delay to Clean Air Plan. The council has announced its proposed timeline for producing its government-ordered Clean Air Plan, stating it will submit its outline business case to government in September this year. The business case, which will outline the elements of its plan to address Bristol’s pollution crisis, will be submitted nine months after the initial deadline of December 2018. The full outline case, finalising the council’s approach, would then be submitted ‘by the end of the year’ for the government to sign off, meaning the plan would only start to come into effect in 2020. Cities across the UK have been ordered to produce Clean Air Plans after the UK government was found to be in breach of EU levels of legal pollution. Other councils across the country have already had their Clean Air Plans signed off by government, including Birmingham, Bath, Nottingham, Southampton and others, meaning they can now begin to enact them. Around 300 deaths in Bristol per year are attributable to air pollution, and its impact on respiratory disease is well known. New headlines emerge daily about other possible health impacts including links to miscarriage, stunted lung growth in children and even links to dementia and psychosis. The mayor has repeatedly cited ‘concerns arising from modelling’ for the delay, after several measures were assessed and put to the authority for consideration in June last year, including the ‘potential for adverse effects on the lowest income families’, presumably concerning the vehicle charges stemming from a Clean Air Zone. However, the mayor has come under fire for refusing to release research commissioned by the council which formed this conclusion. 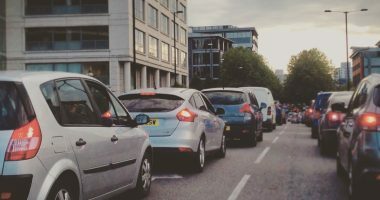 Campaigners argue the lack of action is also an equalities issue: research from UWE found that some of the most deprived central wards in the city suffer the worst air pollution while having the lowest levels of car ownership – essentially, families are breathing in other people’s fumes. 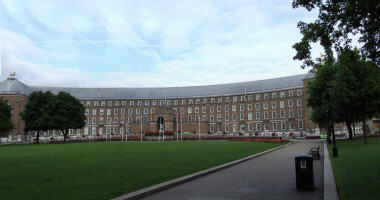 The council had already been given an extended deadline – also set to be missed. In January, a DEFRA minister wrote to the mayor to issue a harsh rebuke and threaten legal action on his delays, writing she was “absolutely astonished at your delay in improving air quality for the people of Bristol as quickly as possible”. The council states its new timeline has been approved with the relevant government department. 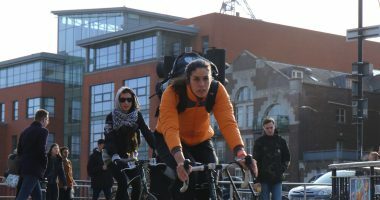 Changing gear: what next for cycling in Bristol? Mayor Marvin Rees said: “We will submit an outline business case to government in September 2019 detailing our proposed initiatives including a local scrappage scheme, increased usage of a freight consolidation facility, a charge for the most polluting buses, taxis, HGVs and LGVs and further bus improvements. A full business case will then be submitted by the end of this year. “As a result, we will be formally consulting on our revised plans this summer, giving the public an opportunity to share their views. “Our initial modelling showed that there was potential for adverse impacts on the lowest income families. This makes it crucial that we have a plan to tackle air pollution in a way that reaches compliance levels while maintaining our aims for an inclusive economy, building a city where nobody is left behind. 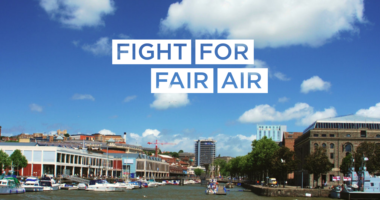 We are about to launch a campaign on air pollution in Bristol. To get the latest updates by email, sign up here. Public interest journalism is expensive, takes time and can be risky. But powering Bristol’s media co-op isn’t. Do we have any idea when in 2020 this will come into effect? I ask because there is of course a local election in the May of that year. Hello Jon, the council has only stated that it aims to have its Plan finalised and signed off with government ‘at the end of the year’. The Plan itself and the measures it will contain are totally unknown at this point – so, so is the timeline for its implementation! Of course a cynic might suggest that someone expecting to go into an election with the air the same as it was when he came into office four years earlier might well choose to have a brilliant plan conveniently coming a few months afterwards. « Opinion: Our parks are under threat. They need legal protection. The Bristol Cable is launching a campaign calling for drastic action on Bristol's deadly air pollution. Here's why. To get us out of cars and reduce air pollution, Bristol needs to radically overhaul its cycle network. Other cities are leading the way. Marvin Rees’ announcement this week that there is a ‘timeline’ for producing a Clean Air Plan is too little, too late. Delay in clean air action is defended by Labour despite criticisms, opposition parties put forward alternative proposals. After harsh criticism from government for dragging its feet, the council was ordered to provide its plan to tackle air pollution by 21 February. 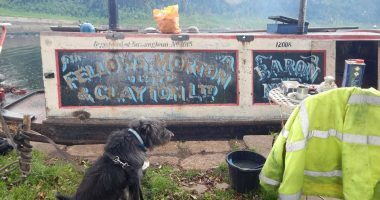 For someone living in a boat or van during the winter, having a stove can be a matter of life and death, argues boater Mike Doherty.